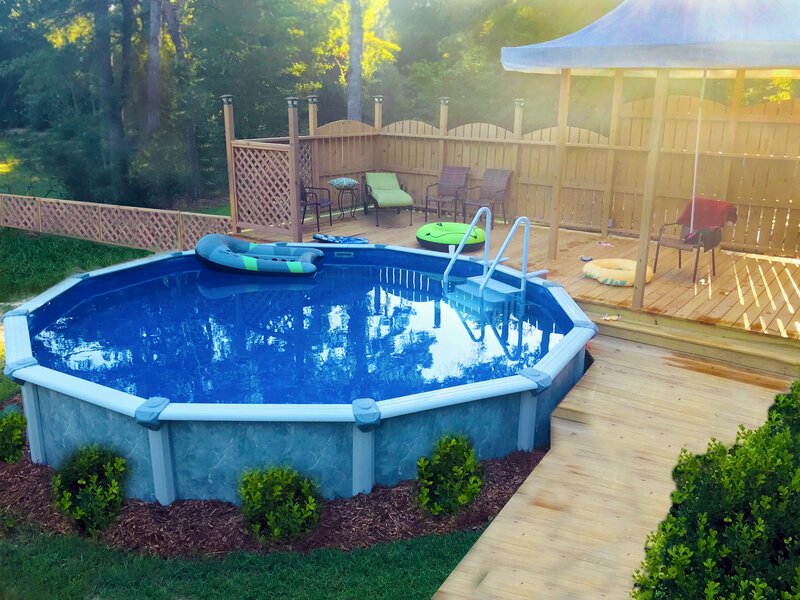 Does Your Pool or Spa Have Plans This Valentine's Day? The most romantic day of the year is here! What are your plans? Instead of opting for the annual over populated dinner at some restaurant with a hundred other couples, why not create an intimate setting for you and your loved one in the comfort of your own backyard? Maybe dinner for two by the light of the pool? Maybe dessert after served spa-side with your favorite wine or champagne on ice? These are simple, easy, and inexpensive ways to create your own romantic retreat! We've even listed a couple additions you can include to show that you've gone that extra mile! Using flowers in your pool can be as quick and easy as scattering rose petals to float on the surface of your pool or spa. However, if you want to get fancy and you have the extra time, you can float the flowers (not just the petals) in your pool, maybe even into your monogram. 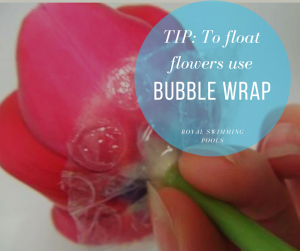 A tip for this is the use bubble wrap underneath the flower to help keep it floating upright! Tealight candles are inexpensive and available in bulk! They also make a gorgeous display when their lights reflect off of the water. You can use these to float inside of your pool or spa as well as adorn the pathway, table, and surrounding area. Keep in mind that the more candles you use the warmer that area will be. Use caution when placing your candles so nothing hanging or draping can catch fire and keep pets in a separate area. 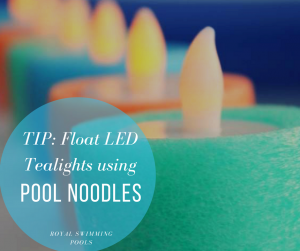 If you’re unsure about Mr. Whiskers creating a fire hazard, or the evening is projected to be windy, you can use LED Tealights and a cut down pool noodle! Just wrap the bottom on the tealight with plastic wrap first to keep water from reaching the battery! 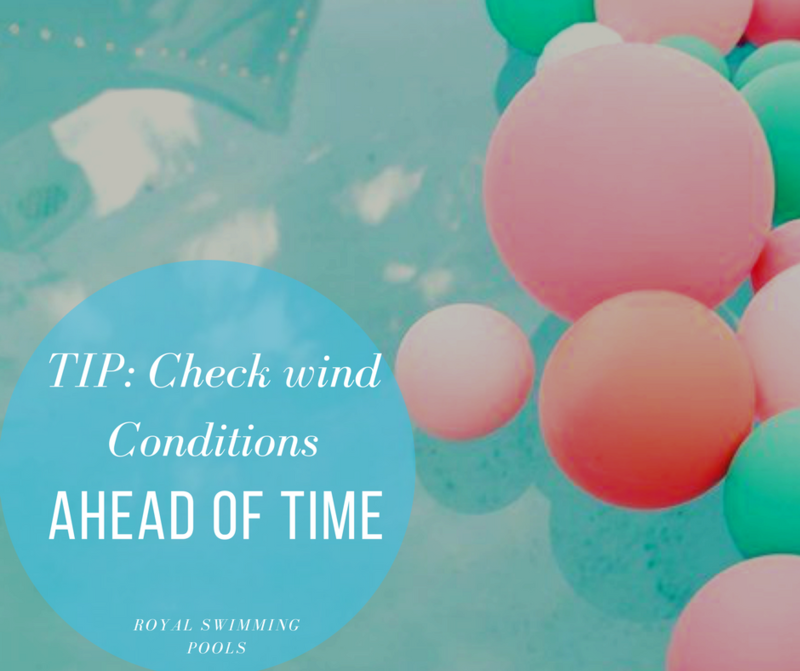 The quick and easy way to add balloons to your pool is to pick a balloon color that compliments the area, blow up the balloons, and toss them into the water. Done! It will look like you went to great efforts! To save your lungs, you can have a number of balloons filled with helium, and weight the end of their strings down so that they float over the pool! 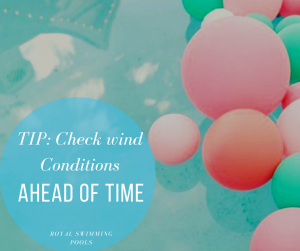 Check for wind conditions beforehand though! The trend now is the over sized perfectly round balloons- go be impressive you trendy human, you! Add a bottle of your favorite beverage on ice, turn on a playlist that you’ll both enjoy, and relax! Remember this day is not about the flowers, jewelry, and over priced chocolates… it’s about celebrating you and the love of your life. Take some time to reconnect with just the two of you and your own private oasis.